I tested this out in Firefox/Chrome/Safari on Mac and Edge on Windows. Every command is working great in all four browsers except that there is a small bug for the r and m commands where it actually puts the literal letter r or m in the compose box. This bug occurs in Chrome, Safari, and Edge, but not in Firefox. 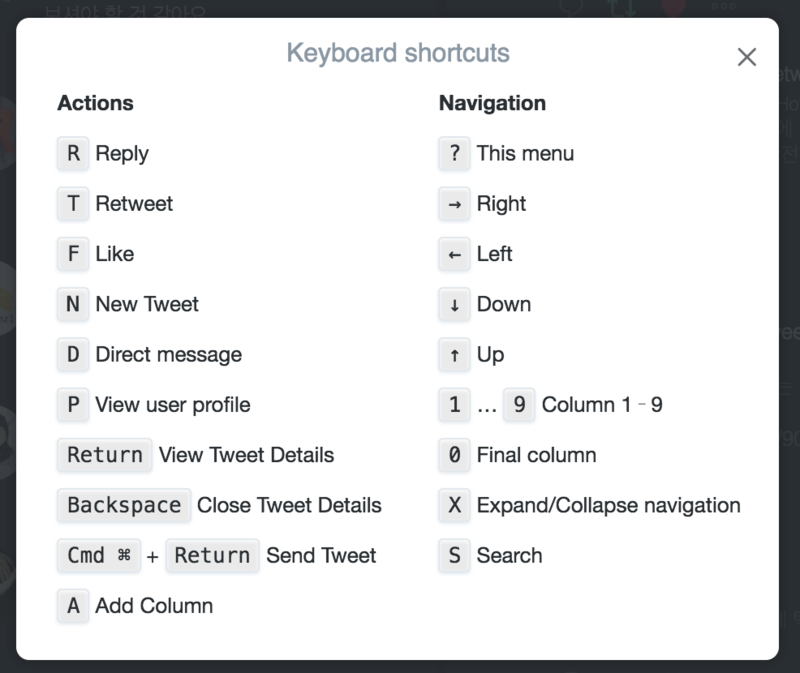 How about h/←, l/→ to move between columns like Tweetdeck does? But there's no keyboard shortcut modal, so end user do not know about it. How about shift + / to show up keyboard shortcut modal like below?